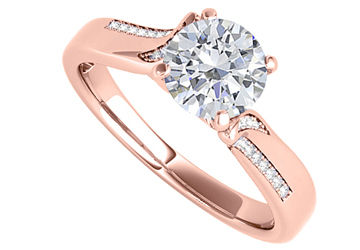 April birthstone cubic zirconia fixed in prong setting over rose gold vermeil ring. This setting is perfect and makes the ring look beautiful. 1.25 CT TGW.